DO YOU WANT TO LIVE IN BOTANICAL GARDEN? Nothing can be compared to the touch to the lively nature and life in harmony with it! Try to give yourself this feeling! In the forest and at the sea! What more could you want to feel great? Do you want to live in Botanical Garden near the sea? And you think that’s possible? Yes, it is really possible. Buy an apartment in “Botanica”! 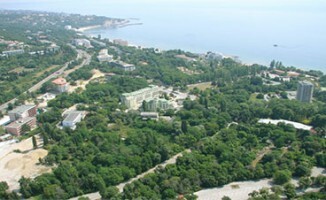 The location of the residential complex “Botanica” on the territory of Botanical Garden near the city of Varna makes it unique in offering proximity to beautiful nature, fresh air and perfect conditions for a healthy lifestyle by the sea. 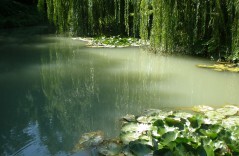 A feeling of relaxation and unity with the environment makes peaceful the rest of those people who have chosen to live in this wonderful corner of Bulgarian Black Sea coast – on the bank of a small river, among the natural beauty of nature combined with a colorful collection of exotic plants from all over the world. The residents of ‘Botanica’HC live in a comfortable upscale complex built on a spot where all the senses enjoy the charm of lively nature :soft murmur of the river, the outstanding look of the greenery, the amazing scent of the plants in the Botanical garden, the gentle breeze and the incredible taste of the life of the highest performing standard. In addition the fabulous restaurants, sandy beaches and numerous tourist attractions of ‘St. Constantine and Helena‘ resort are only within a 10-minute walk away. They have easy and convenient access. 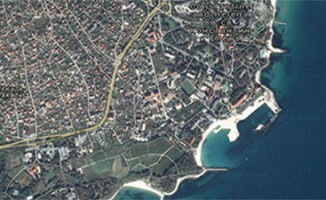 And the center of Varna is only in 7 km! Private parking facilities, comprehensive security around the gated complex and the night guard services guarantee that the proximity of these tourist attractions will not disturb the quiet and tranquility of Botanica’s residents. Botanica VIP Residence Project is being built on a plot of 12 000 m2. It consists of 7 residential buildings (A,B,C,D,E,F and G), including 216 one-bedroom or two-bedroom apartments sized between 56 m2 to 131 m2, as well as garages and parking lots. On the first stage of construction three contemporary buildings A, B and G have been erected. The swimming pool is in operation. The landscaping of the complex have been finished. For the residents there is free access to Botanical Garden (360 000m2) offering opportunities for a peaceful rest in natural surroundings. Call NOW and book a viewing of the available apartments: 003598884988874 ! Why should you choose ‘Botanica ”project in “St. Constantine and Helena ‘ Resort? Botanica VIP Residence contributes to the chram of the spectacular Black Sea coast high international standards of construction and gracious living. Botanica Housing Complex has a unique location on the bank of a small river, right next to the Botanical garden of Varna, where the natural beauty of nature combines with a rich collection of exotic plants from all over the world. The complex is located just in 10 minutes walk from ‘St.Constantin and Elena’ Resort with its beautiful beaches and not far from Varna downtown-only 5 km. St.Constantin and Elena Resort is the first Bulgarian resort on the Black Sea coast. The resort is located in a broad leaved forest, reaching the beach of 3.5 km. One of the most – important conditions for development of the resort is the availability of 7 mineral springs .There are tennis courts, playgrounds, soccer fields, indoor and outdoor thermal pools and marinas. MOVE TO BULGARIA AFTER YOUR RETIREMENT AND GET PERMANENT RESIDENCE PERMIT!